Recruiting and Retaining Millennials - strategic HR inc. The Millennial generation now dominates our workforce as they have successfully surpassed the Baby Boomer generation. And guess what, multiple studies show we can expect the Millennials to be 50% of the workforce by 2020 and 75% of the global workplace by 2030. With Baby Boomers retiring and labor market getting tighter, companies are going to have to make changes to their recruitment and retention efforts to accommodate the Millennials to have any hope of attracting and retaining them. Who the Millennials are is a little vague because of varying definitions. Based on our research for our book Bridging the Generation Gap, my co-author, Linda Gravett, PhD, SPHR, CEQC and I define the Millennials as the Generation Ys (born between 1977-1990) AND the Gen Zs (born between 1991 – 2001). These two generations grew up viewing the terrorist attack on 9/11 on TV, mass school shootings, immersion in technology their entire life, globally connected, and embracing a diverse society. Millennials are going to research your company well before they apply to confirm whether or not your organization meets these needs. And they will continue their review through your hiring process. You will more likely find Millennial candidates on LinkedIn, Indeed, your company website, or social media (not just LinkedIn and Facebook but also Snapchat and Instagram). Your application process needs to be mobile friendly and your recruiting process needs to be efficient, quick, personalized, and extremely responsive. Consider having the Millennial interview with the team they will work with as well as shadow someone if possible to get a realistic view of the job. Failure to make changes could result in significant impacts in turnover. According to a May 2017 article in The Business Journal, the cost to replace a Millennial employee is $15,000 – $20,000. Plus, this doesn’t account for the impact of the loss on morale and other employees deciding they should see if the grass is greener someplace else too. If you do lose a Millennial, keep it positive. Conduct an exit interview to find out why they are leaving and what you could do different to help retain more Millennials. We are finding it isn’t that uncommon for a Millennial to come back once they test the waters elsewhere, especially if they left on good terms and see you making some changes for the better. Each generation before has brought new changes to our workplace. At first, they seem irrational but over time that changes. We are seeing the same with the Millennial workforce. You will likely find as you make these improvements to your workplace it will not only help you attract and retain Millennials but also other generations. Robin Throckmorton, MA, SPHR, SCP is the President at strategic HR inc. (www.strategicHRinc.com). 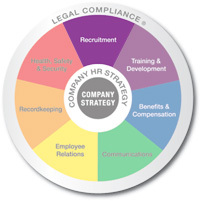 If you have any questions or would like to share your comments, contact Robin@strategicHRinc.com.